जोधपुर होस्पिटल में भी दिखा बापूजी का चमत्कार…..
बापूजी के चरणों में मेरा शत शत नमन ! Crores of people like Sri Purna Singh have been benefitted with the blessings of Pujya Bapuji who is the incarnation of God. The conspirators, the judiciary, the police, those involved in conspiracy and the Government should understand this. Government should take immediate steps to release Puj. 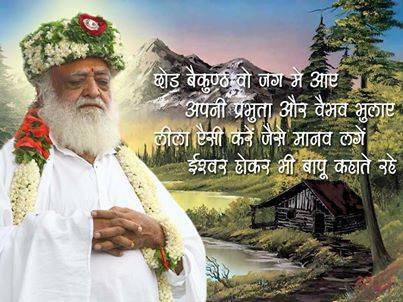 Bapuji from jail immediately.